For most industries, referrals are an important part of the business. Home building is no different. Referrals can be some of your best leads. They don't need as much trust-building because your existing homeowner did the heavy lifting for you. So, how can home builders get the most from their referral program, get the voice of happy homeowners to more prospects, and get more trusting leads to come in for an appointment? What's wrong with current home builder referral programs? I recently spoke to Mary, the VP of Marketing for a Colorado builder, and she had a lot of the same questions. Even in a hot market, she's getting very few referrals. And she can't figure out what's wrong. I told Mary there's absolutely nothing wrong with her program. It has worked for builders for years. Referrals come in and sales are closed. And the ROI is easy to attribute, based on the number of gift cards sent out. The problem is that word-of-mouth just doesn't reach that many people. A relative comes over, is impressed, and wants to know how "that fantastic fireplace" was built. A co-worker is looking to move-up into a larger home, and wants advice on whether he should build new. A friend attends a housewarming party, loves the community and wants to know how they can get in. All of these examples are exceptional referral opportunities. But they only happen once and to one person. After all, the co-worker wanting a move-up home is likely only one of many people looking for that same advice. 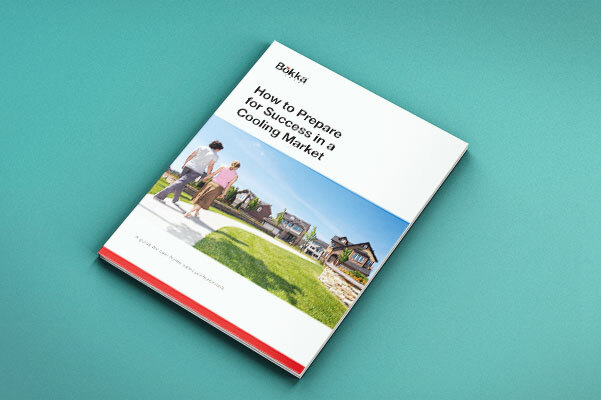 Once the referral program pamphlet is left in their homeowner manual, it's up to the homeowner to take action. Sure, they could call up their friends and co-workers to see who might need a new home, but this rarely ever happens. Some times, people need a little push. A reminder. Or even an invitation to refer. Assuming that homeowners will just stumble onto your referral page and start referring you to their friends and family (in all their spare time) is a recipe for poor homeowner referrals. And that's why the first optimization any builder should make to their referral program is creating a version that supports the homeowner in reaching prospects. Again, it's not to say that traditional referral programs don't work. They do. But in a time where people are able to easily reach the masses with a click of the mouse, referral programs can be so much more. And they can reach more people and be more widely promoted. It's why many industries are optimizing their referral strategy, creating a 2.0 version for modern day word-of-mouth. One online review can reach hundreds...even thousands. With review-focused websites and social media, one review can easily reach many. Take that one conversation with a neighbor (the one wanting advice on building a new home with more space) and move it online. It can now reach other move-up buyers searching for the same advice. 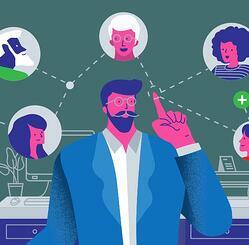 By taking your referral program online, that one review can now reach hundreds...even thousands. It seems obvious, but in business, numbers mean everything. Even with taking your referral program from one-to-one to one-to-many, you're still reliant on homeowners to participate. So how do you get homeowners engaged? You make it easy but more importantly, you make it enjoyable. Don't assume that one size fits all. Some homeowners might prefer a long social post, while others might prefer a quick star-rating. Some might prefer giving full tours of their home, while others would rather take a single picture of their favorite customization. Find out how your homeowners want to talk about their home building experience. And make it easy for them to do so. Also, don't be afraid to incentivize them. Not to "buy their review" - but to make it worth their time. Build a memorable experience around it. 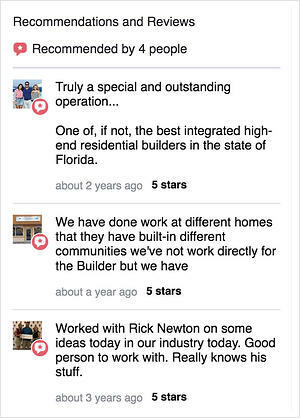 The moment a referral becomes about the builder, the moment homeowners lose their motivation (and trust). It should always be about the homeowner and their new home. Bring your customers to the center of your referral program, and make each review a testament to their experience. This allows them show off a bit. Support events where they are likely to invite like-minded people into their home. Housewarming parties are a great example for creating a memorable experience. Make it easy by catering the event or printing their invitations. Make it a game by organizing social media contests. Get homeowners sharing and competing for the "most unique customization" or "best use of a flex space." Make your homeowners feel like VIPs by creating a select group of Raving Fans. We've written some great ways to do this here. 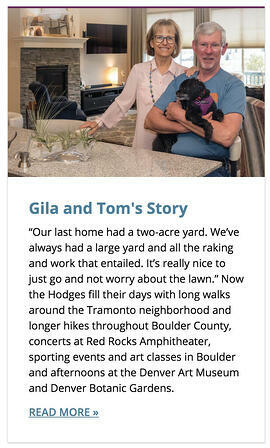 Getting homeowners to share their story doesn't have to be a big production. Forget about lights, camera, action. People want genuine content that doesn't scream "the builder put this together." Something simple like Facebook Live is an easy way for homeowners to give a tour, answer user questions, and all within minutes. No more blocking out calendars weeks in advance for a 2-hour on-site production. Homeowner referrals can be a gold mine to builders and getting more referrals is any marketer's dream. However, they're far and few between. This is because many programs are focused on a one-to-one referral model, limited to verbal word-of-mouth only. That's why many industries are taking the old referral program and layering in new review strategies. Getting the customer referrals out to the masses is a must. And it's working: 85% of buyers trust reviews as much as personal recommendations. Include online reviews though social, 3rd-party sites, and star ratings. Make submission easy and flexible so homeowners can review and refer where they want, how they want, and when they want. Bring customers back to the center of the referral experience, making it enjoyable and valuable to them. If you’re interested in learning more about how Bokka can help you build a program that will improve referrals and reviews get in touch.